Ethel Stein (American, b. 1917) is a Westchester-based artist weaver. Trained as a woodworker, painter and sculptor, Stein became interested in textiles in the 1970s. She began her investigation of the techniques of weaving by studying historic textiles in the collections of the Metropolitan Museum of Art and Cooper Hewitt. Working closely with former curator Milton Sonday, Stein analyzed the structure of damasks and velvets, two important areas of the museum’s collection. These close observations informed her work as an artist, which combines geometric abstraction and a keen interest in process and technique. Interlacings showcases her fascination with damask, which contrasts the warp- and weft-faces of a satin weave to create subtle, monochrome designs which depend on the reflectiveness of the different surfaces to reveal their patterns. 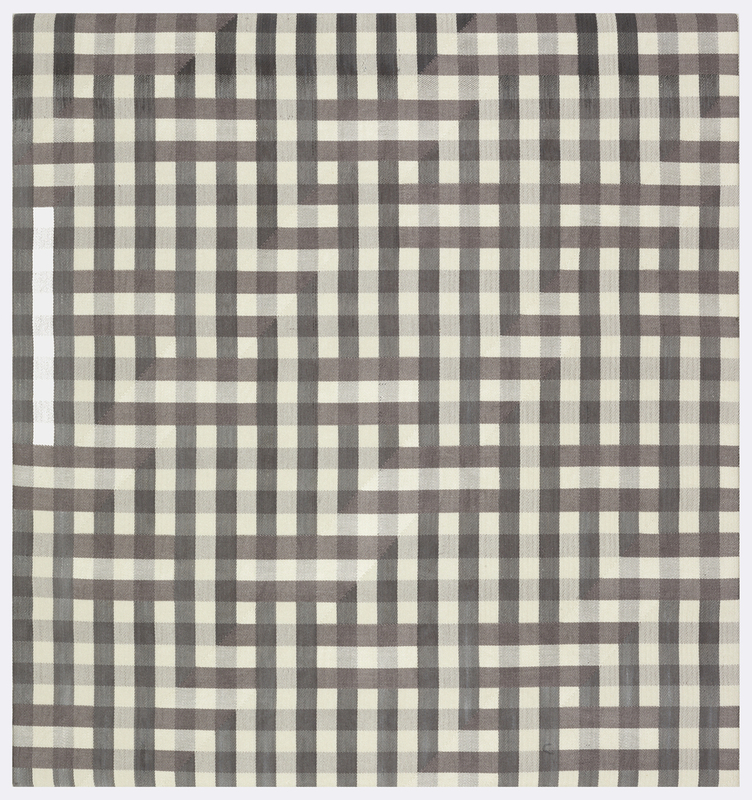 Weaving on a drawloom which allows individual control of each warp for patterning purposes, Stein’s work appears modest, but displays deep technical mastery. Stein’s work has been included in a number of important art and textile exhibitions in the past fifteen years, and is held in major collections, including the Art Institute of Chicago, the Metropolitan Museum of Art, and the Cleveland Museum of Art.